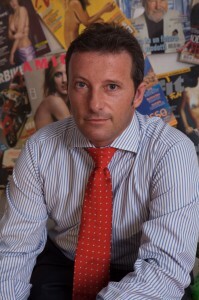 Stating that I don’t feel confident accusing those who are already in a critical position, in this post I would like to analyze the events involving Alitalia, being conscious about the fact that some professionals – also the ones working for communications and external relations of Alitalia – will agree with me, and others won’t. Let’s talk about this news, telling the story of a plane that went off the track during the night of February 2nd, and let’s ask ourselves if, just analyzing the facts, it was possible to predict in advance the crisis scenario later delineated. And also, did the removal of the Alitalia logo from the wreck influence the attention dedicated to the incident by media and public opinion? On my opinion, it did, but, if removing the company logo from every plane wreck is a common routine, what is the mistake from the communication management point of view? How can a simple “routine” become a news? In this case, just the fact that this common routine for the employees was a news for the media, was “enough”. It was also enough that this routine is particularly suitable to be represented with simple images – used by the media and sharable object on social media, according to the “viral logic” – and suitable for filling up the void left by the luckily-absence of bloodbath in the “day-after media storytelling” . The accident caused injuries and delays, but no one died, as it happened during a similar event some years ago in Genoa. 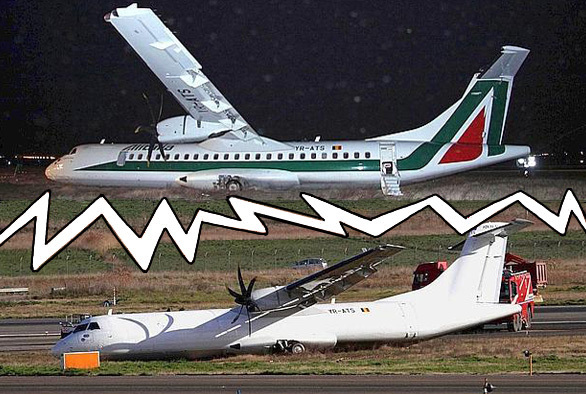 I could be wrong, but it was February 25th 1999 when a Dornier 328, with Alitalia livery but operated by Minerva Airlines, went off the track in the Genoa airport, overlooking the sea. The outcome was four deaths and dozens of injuries, so the fact that the Alitalia logo on the wreck was hidden by a cloth took second place, because it was journalistically more relevant telling the inauspicious events going on. At the time Mark Elliott Zuckerberg was only 15, and social media as Facebook and Twitter still didn’t exist, so newspapers, the day after the tragedy, missed the news about the hidden logo on the plane wreck. I might have some articles with the pictures of the “covered” plane wreck because, at the time, this news intrigued me and I did some research in order to verify this “coverage behavior”, finding out that this procedure comes from the first forerunners manuals of crisis prevention (and crisis preparedness guidelines of the air transport sector). 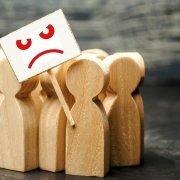 Even if all the crisis communication professionals should thank who wrote the articles – because they actually created the conditions for the spread of a real crisis communication management culture – they should also remember that crisis communication can’t be crystallized, once again, as routine. The main mistake of Alitalia’s team was being too dutiful on following the guidelines, that nowadays shouldn’t matter a good deal of re-adaptation to the times and to the contingent situation analysis. Summarizing, covering/hiding the company logo was a common routine during the 60s’ because it allowed to dampen the association between “plane” and “accident”, in a society where taking a plane was, for the collective mentality, risky and extremely elitist. Covering the brand after the accident was a way of avoiding the link between the plane and the dangerous means of transport for travelers/consumers, often scared by this new way to travel and poorly informed about the high security levels and procedures that lie behind this fantastic world. Back to present, I would only add that it would be worth meditating about the potential reputational damage brought by events like this, and about the importance of investments for strengthening/restoring the perception that public opinion has about the brand. I expect a strong investment on this front, and less attention to company decorum –which are important but don’t respond to the storytelling expected by opinion makers and opinion leaders – and a deep meditation about the different modality to protect and re-launch the reputation of a historical brand, starting from the statements made by the COO of Alitalia, Giancarlo Schisano. It is a common routine normally used when this kind of events happen. For companies decorum reasons it is normal to hide the company logo, especially in this case where the plane is not Alitalia. But they should also remove (and they didn’t) the press release concerning some international awards recently won by Alitalia (BizTravel Awards 2012) from the company website. I believe that what they wrote and said may give a sense of commitment of Alitalia’s communication to the company “decorum”, and less importance to the values such as transparency. I also think that it would have been useful, for example, letting third parties know the nature and purpose of this common routine, because then there would be no “media scandals” and exaggerate accuses. I can’t hide I feel sorry for this company crisis, because, even if I choose a different career, Alitalia is part of my family history, since my father and uncle used to be airplane pilots working for Alitalia.